Traditional amino acid producers typically exhibit the low glucose uptake rate and growth deficiency, resulting in a long fermentation time because of the accumulation of side mutations in breeding of strains. 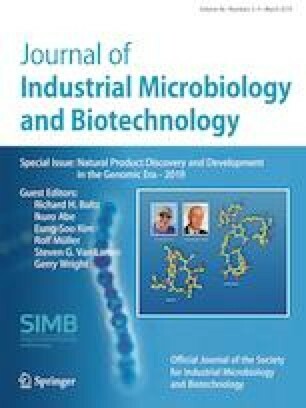 In this study, we demonstrate that the efficiency of l-lysine production in traditional l-lysine producer Corynebacterium glutamicum ZL-9 can be improved by rationally engineering glucose uptake systems. To do this, different bypasses for glucose uptake were investigated to reveal the best glucose uptake system for l-lysine production in traditional l-lysine producer. This study showed that overexpression of the key genes in PTSGlc or non-PTSGlc increased the glucose consumption, growth rate, and l-lysine production. However, increasing the function of PTSGlc in glucose uptake led to the increase of by-products, especially for plasmid-mediated expression system. Increasing the participation of non-PTSGlc in glucose utilization showed the best glucose uptake system for l-lysine production. The final strain ZL-92 with increasing the expression level of iolT1, iolT2 and ppgK could produce 201.6 ± 13.8 g/L of l-lysine with a productivity of 5.04 g/L/h and carbon yield of 0.65 g/(g glucose) in fed-batch culture. This is the first report of a rational modification of glucose uptake systems that improve the efficiency of l-lysine production through increasing the participation of non-PTSGlc in glucose utilization in traditional l-lysine producer. Similar strategies can be also used for producing other amino acids or their derivatives. The online version of this article ( https://doi.org/10.1007/s10295-019-02170-w) contains supplementary material, which is available to authorized users. This work was supported by the National Natural Science Foundation of China [Grant Number 31601459], the China Postdoctoral Science Foundation [Grant Number 2016M590410], and the National First-class Discipline Program of Light Industry Technology and Engineering [Grant Number LITE2018-07]. We thank Dr. XL Chen (State Key Laboratory of Food Science and Technology at Jiangnan University) for assistance in data analysis.